Do you like My Summer Fashion Diary? Share it with your friends. 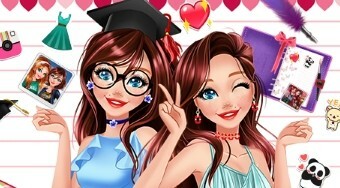 My Summer Fashion Diary is a wonderful girl game where your job is to help a young student get the most out of her diary and then pick her upcoming hairstyle, clothes and fashion accessories first for her graduation and then for her meeting with her best friends.